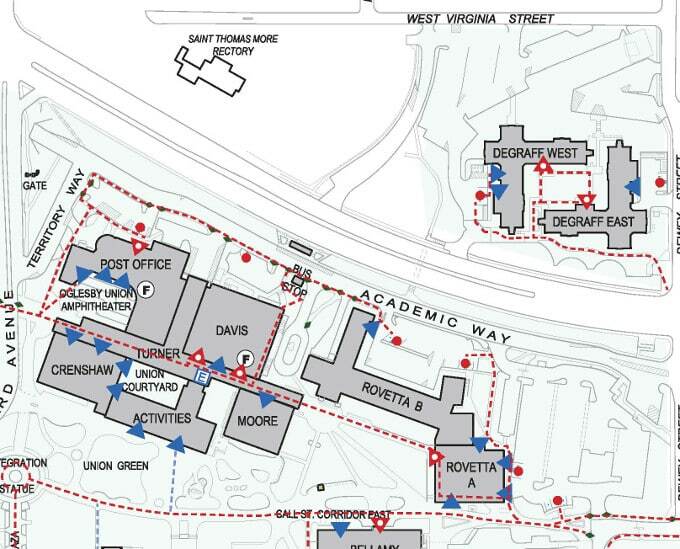 In the above map, it is listed as the Rosetta building. The Starry conference room is on the second floor, room # 214 (by the double doors to Annex B). 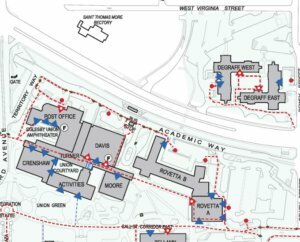 Parking is available in all lots after 5 pm, and there is a lot between Rovetta B and Academic Way, and another to the right of Rovetta A (within the corner of Call St. and Dewey St.